SHIVAKUMARA SWAMIJI, who passed away on January 21, 2019 at the grand age of 111 years, is considered a ‘Nadeda Devaru’ (walking god) by many, including those who do not belong to the religious sect of Lingayats, whose most prominent pontiff he was. 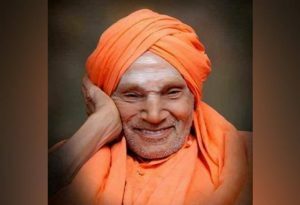 He headed the oldest religious centre of Lingayats (the sect that the Congress government tried to divide by declaring Veerasaivas non-Hindu), the Siddaganga mutt at Tumakuru, not far from Karnataka’s state capital, Bengaluru. His death, deeply mourned, led to the state government declaring a three-day mourning cancelling all official functions (though a state minister, Priyank Kharge, son of Congress’ floor leader in Lok Sabha, Mallikarjun Kharge, defied the ban). So much has been written about the Swamiji and so many tributes paid to him by celebrities all over India, that writing about his life would be redundant. It was just days after his death that the list of those conferred India’s highest honour, Bharat Ratna, was announced. The Swamiji’s name was not on the list. This led to many protests. Some came from people who were not aware that the procedure for deciding on the awardees takes months and others from those who knew but wanted to either politicalize the issue or take the credit for the act when it finally comes, as the ruling Bharatiya Janata Party leaders had that a panel headed by the Union Home Minister had already decided to confer the honour and the procedure had begun. Prime Minister Narendra Modi paid tributes to the seer in his routine addresses to the nation but did not, as he should have, mention that the honour would be conferred on him. A lot of vitriolic speeches and social media posts lamented the delay in conferring the honour, implying that the BJP was against it. That is politics. “I said ‘There’s a simple reason for it. The global media never tried to highlight his efforts & achievements, because he always wore saffron’. A Congress leader was critical of “a singer” (Bhupen Hazarika) being awarded Bharat Ratna, forgetting that a cricket player (whose records are all broken) was similarly honoured earlier. So was actor MGR who spoke of independent Dravidastan. Another friend, also in social work, thought this was all RSS propaganda. He could not deny that Mother Teresa was more known than Shivakumara Swami or that as a missionary, her primary work was conversion of Indians to Christianity. Shivakumara Swami is to be seen in the background of some godmen amassing much more wealth than corrupt politicians and some, like Asharam Bapu, Ram Raheem and Nityananda ending up in jail. Religion, it is said, has become the most lucrative business in India. The BJP demonstrations against Priyank Kharge’s official function, as also the repeated statements demanding Bharat Ratna award for Swamiji are both attempts to politicize the Swamiji’s death. He perhaps did not know Gandhiji not getting the Nobel is the issue of international debate and that the Nobel Committee itself regretted it. They may not have even heard of Swamiji. The friend also pointed out that Satya Saibaba of Puttaparthi got international recognition even though he wore saffron robes because of publicity. ”Do not fault the media. The world is not against Hindus as the Nagpur set up (RSS) makes us believe. Publicity happens when someone has a machinery to seek it. An effective PR officer would have achieved it for Swamiji,” he added. I do not know about Mother Teresa but Satya Saibaba whom I visited several times, did not have a PRO. He and the original Shirdi Saibaba were above one religion and never converted people. At Puttaparthi, national days and festivals of all countries, including Pakistan, are celebrated. In Satya Saibaba’s birthday celebrations I have seen a Pakistani delegation marching as did visitors from more nations than in the UN. I saw people from more foreign countries in Puttaparthi than in New Delhi or even in the USA. Satya Sai has put up world-class hospitals and educational institutions. Those attacking him as fake did nothing but that. The only foreign countries Satya Sai visited were Uganda (in the dangerous Idi Amin days) and Kenya, though he was invited by many devotees to their countries. His trip to California, for which American devotees there made elaborate preparations, never materialized. It is not just service that distinguished Shivakumara Swami. “He actually lived a puritan life, did not go overseas to attract attention, and drew admirers and devotees to his own place. We cannot compare him to anyone. He was a ‘Jeevan Muktaha’ of which Adi Sankara wrote in Bhajagovindam. Liberated souls do not seek recognition,” my friend said. No one can deny that. The recognition is by the people and not by any party. Some political parties may have tried to drag him and his name into politics, but Shivakumara Swami was above it. Fifteen lakh people visited and received Prasad on a single day — which probably only Kumbhmela surpasses. The pictures of thousands of people weeping over his passing away symbolizes the life of Shivakumara Swami, who wanted jeevansamadhi (being buried alive) and built a grave which he wanted to enter alive, but did not, in deference to the wish of his devotees. It was in this grave that he was finally buried. One incident related to his equal love for all religions will remain forever in my memory. I went to an Airtel service center to have my cell number, kept in ‘safe custody’ when I went abroad. There I met Burhan Sadiq, who told me he had studied in Siddaganga Institute of Technology. “I went to Tumakuru and visited the mutt when I came to know he passed away,” Sadiqbhai told me. He did not remember that he is a Muslim. Neither did Swamiji. He believed in Vasudaiva kutumbakam (the world is one family). HERE IS ONE POST THAT MAKES US THINK. Many Westerners have studied Indian philosophy and spiritualism deeply and considered India their spiritual motherland. He brought back to me memories of a book I cam across in the 1960s, ‘The Ocher Robe’ written by Swami Agehananda Bharati, an Austrian who had was with the Ramakrishna Mission. 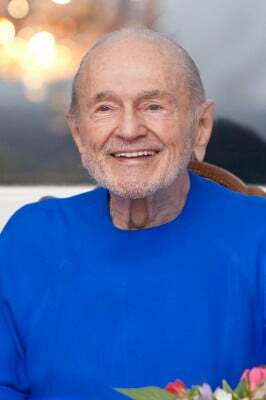 The following post is by Swami Kriyananda, born in 1926 to American parents in Romania and a direct disciple of Paramahansa Yogananda. Since my childhood I have traveled extensively, visiting more than fifty countries. I have enjoyed observing the superficial differences of national outlook and temperament, while at the same time recognizing underneath them a shared humanity. It was in India, however, where I lived for four years, that I met my greatest challenges.